Planet Earth faces invasion and the insidious arrival of aliens has been going on for years with few people noticing. 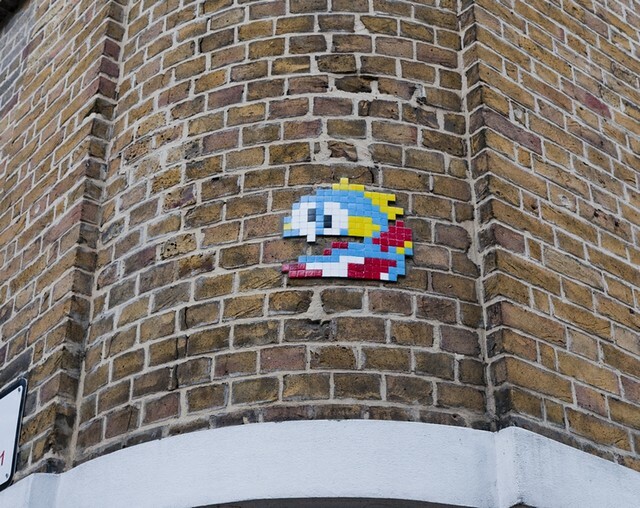 This is not the formulaic plot of yet another sci fi blockbuster, this is an invasion of street art masterminded by a secretive French street artist known only as Space Invader. 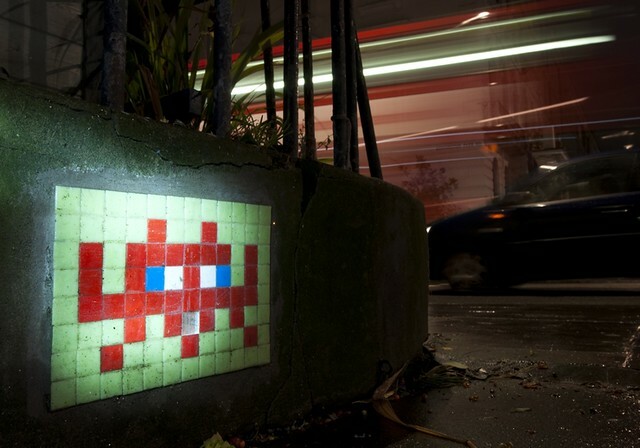 A love of Space Invader’s mosaic pixel street art comes naturally to that generation of street art afficionadoes that came of age with early generation console games providing the most advanced “race into space” era addictive technology buzz. 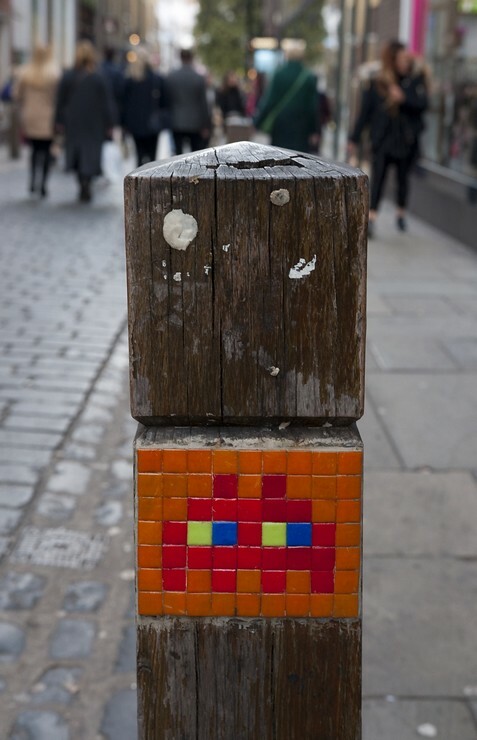 Scoff not ye youngsters, paddle tennis had us obsessed and Space Invaders on arcade machines saw many a precious pound note converted into 10p pieces. 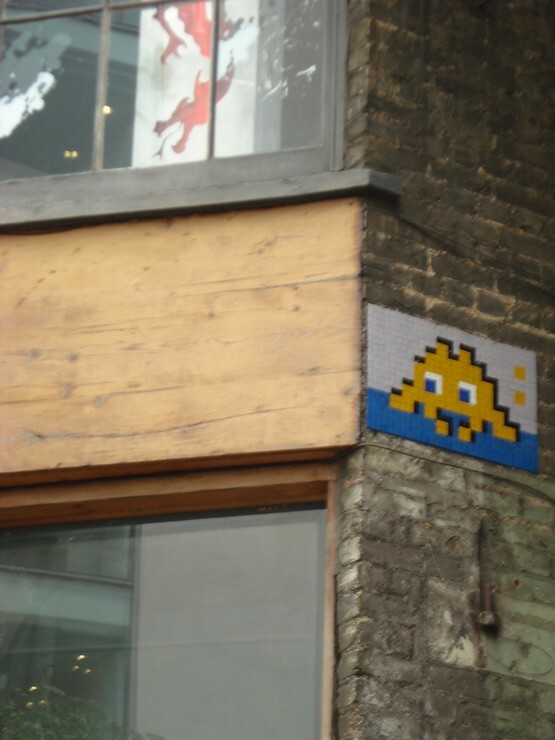 It is not merely a nostalgia trip though, a Space Invader mosaic located high on someone else's building in a built up part of London was a marvel, how did he get it there!! 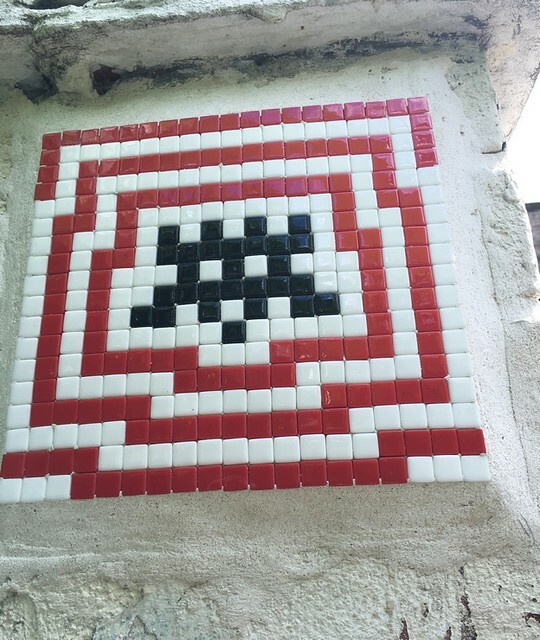 Over the years many Space Invaders fell prey to age and avarice, it seems that there are people who think that Space Invaders can be sold in some kind of nightmare trade in the stolen artefacts of someone else’s vandalism. 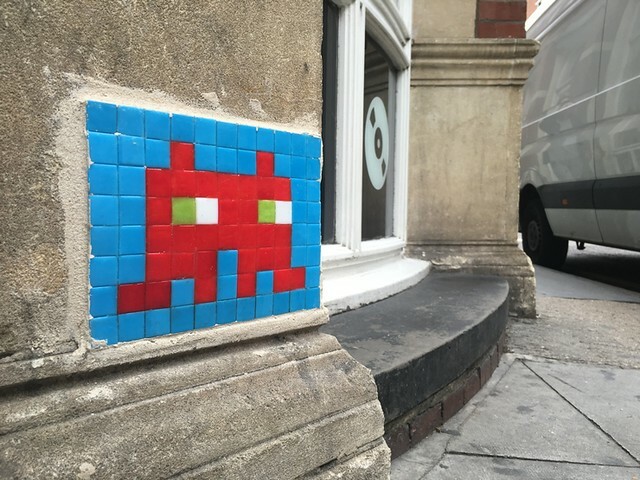 Thankfully, a small band of heroes calling themselves the UK Reactivation Team are coming to the rescue and reinstalling old, long lost iconic Space Invaders. Thanks to the magic of technology, Graffoto has secured a private interview with the anonymous UK Reactivation Team which sort of addresses the who, why, what and where. I’m kidding about the “who?” bit actually, you didn’t think that was going to be revealed did you? 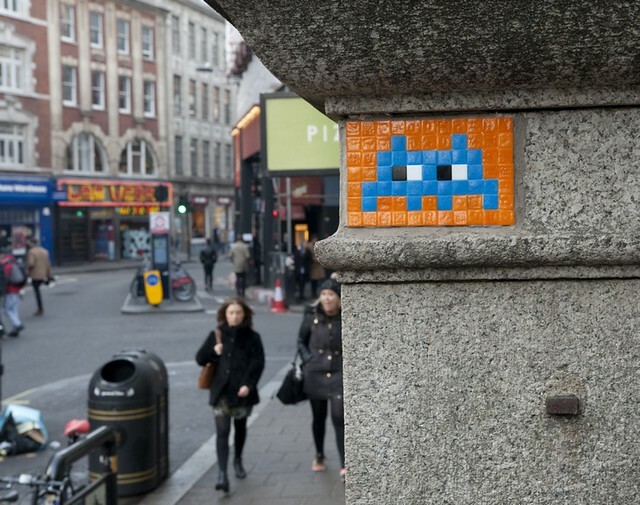 Space Invader, despite a significant cameo in Banksy’s street art documentary “Exit Through The Gift Shop”, is himself notoriously secretive so it feels appropriate the UK Reactivation Team should follow invader’s lead. The force shield around their identity is impenetrable. 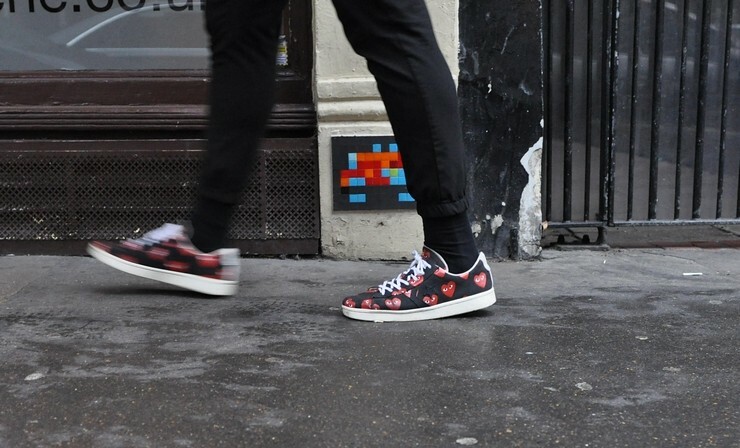 “We came together as a handful of street art lovers that felt upset and annoyed that so many street pieces by Invader have been removed. We wouldn't be doing this if people would stop removing them thinking they can make money out of them”. 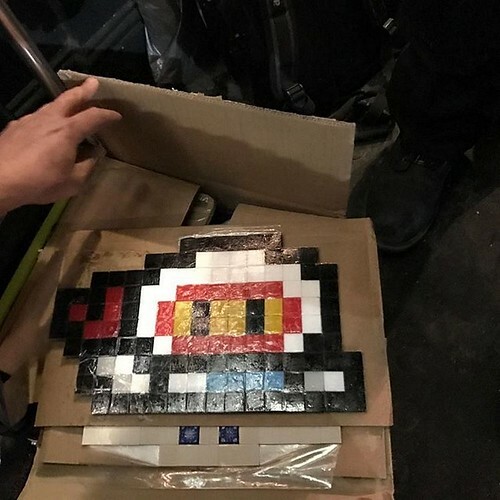 As they boldly go forth, the Reactivation Mission isn’t limited to just cloning the old invaders, several disfigured and damaged mosaics now look in pristine condition thanks to some judicious cleaning and replacement of missing parts. 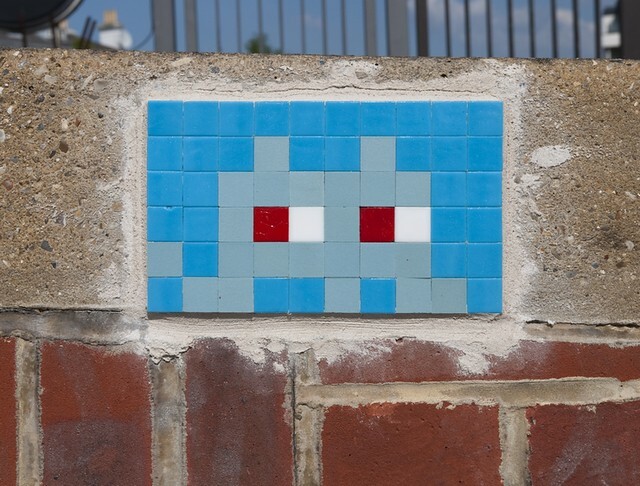 But what happens if the wall that the original Invader took up station on no longer exists? 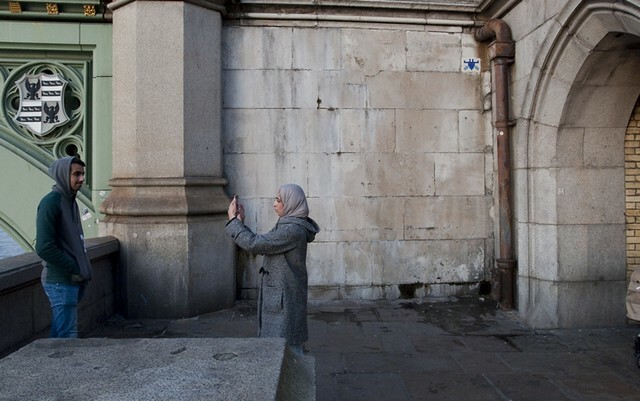 In their opening “Mission Profile” briefing, the UK Reactivation team announced that 65% of the London Invaders had been “stolen or destroyed. 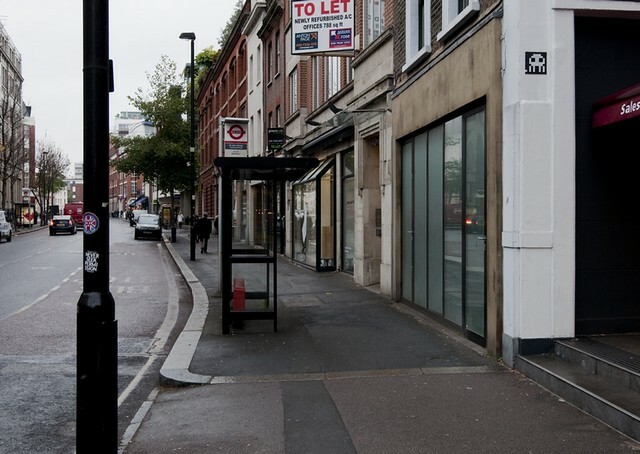 London’s invaders have so far arrived in 18 waves and a total of 150 invaders have taken up station on London streets, so shaking these numbers about a little suggests the UK Reactivation Team has pretty close to 100 missing-in-action soldiers to reactivate in London. These ambitious Space Rescue guys recognise the galaxy is bigger than just London. 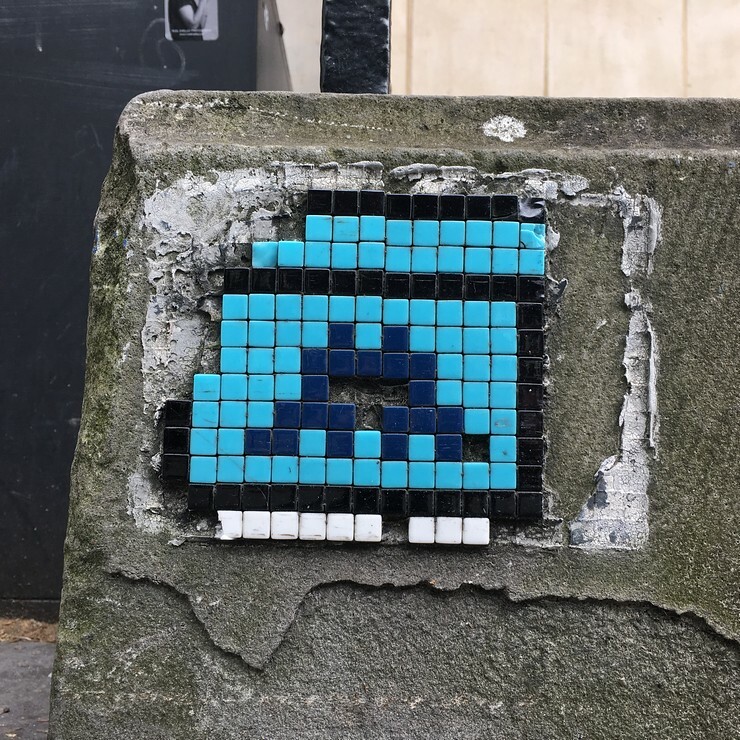 “We hope to reactivate all the missing/stolen space invaders in the U.K.” Already they have reactivated a couple in Manchester (012, 026, the later now gone again) and a quartet in Newcastle (003, 006, 015, 022). 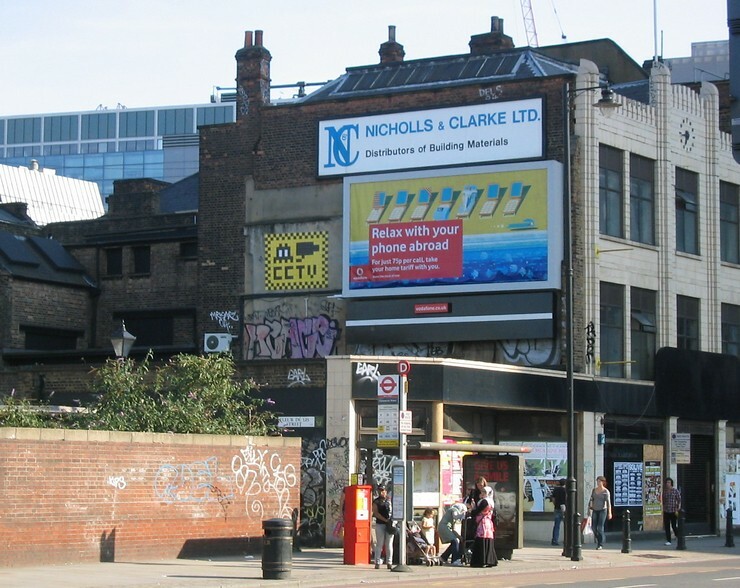 LDN_009 - now a pillar of society. 20 points. 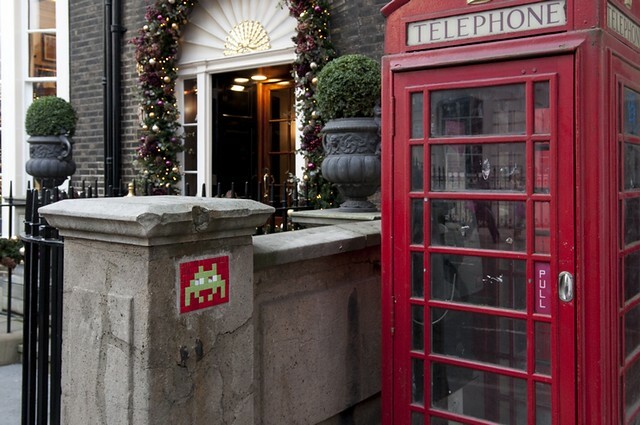 Space Invaders do not operate in a vacuum, international alliances have been formed with French and Dutch reactivation teams; the UK and Dutch Reactivation Teams share intelligence and the French Reactivation Team has helped with advice and installation, no frontiers shall hold back the Reactivators. 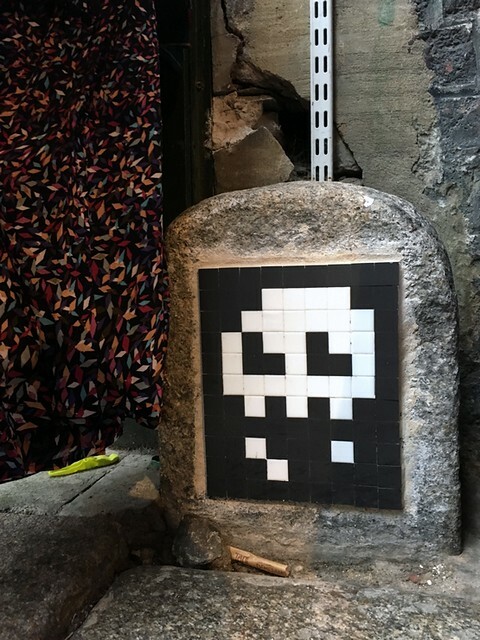 One slightly tricky issues arises from the project and it’s to do with the ephemerality of street art, we have to ask – should lost Space Invaders be reactivated? 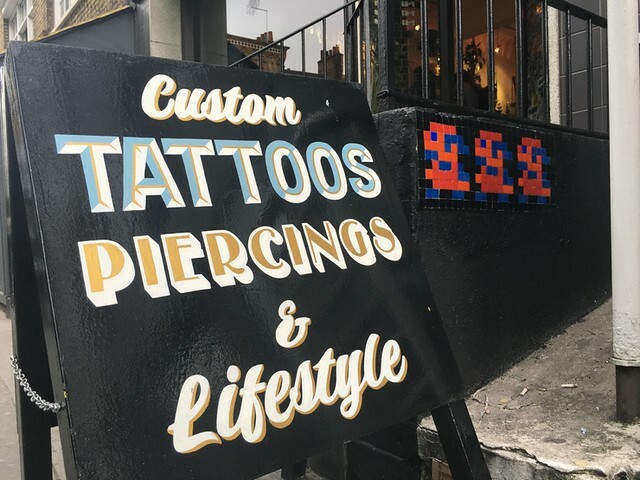 Space Invader doesn’t have an issue with it, these reactivation guys are dedicated to their work and I and many others are delighted to see old friends taking up station once more on London’s walls. 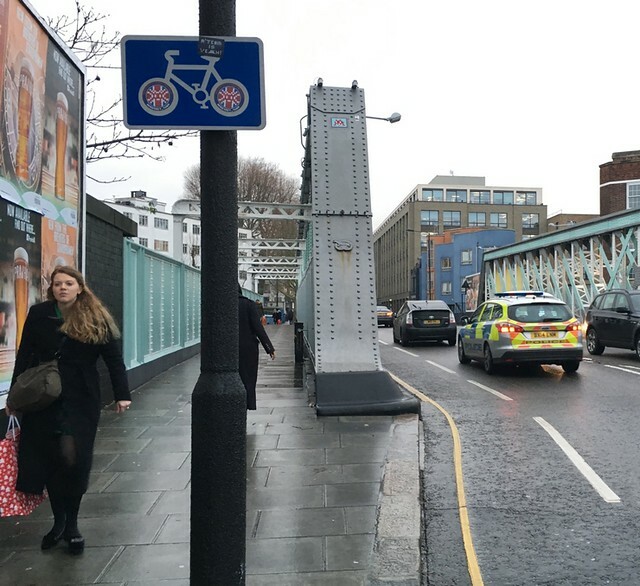 “We like to see the Invaders in the street, if someone removes them we don't have to just shrug our shoulders and say "it is what it is" If we want to put them back then we will do just that.. and the best thing is others appreciate that view and like to see them too”! The process of reactivation has actually become an art project in itself. The whole craftsmanship of reproduction, the planning and the installation, the decisions on what invaders to reactivate at what time, all has a complex beauty that still wows but the finished work is what matters. 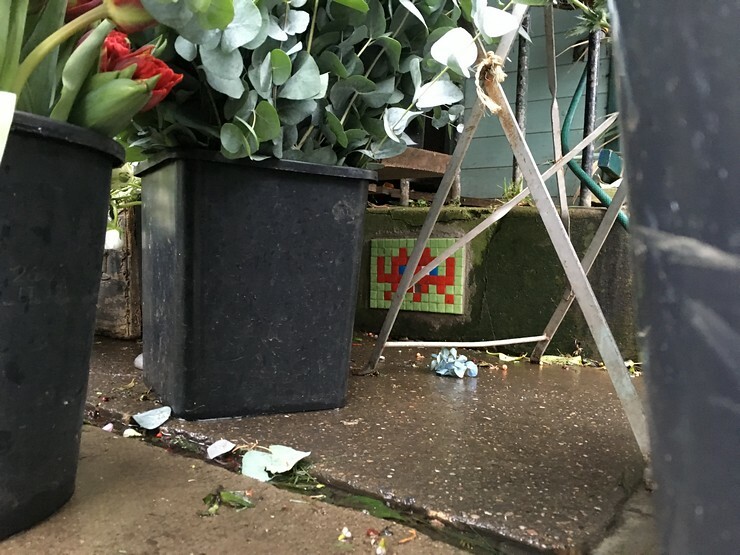 A particularly furtive red faced blue eyed invader re-appeared in May this year on the front of Harper and Tom’s flower shop in Notting Hill, neither Sophie who has worked there for a year nor Alex, 4 years, recall the original. 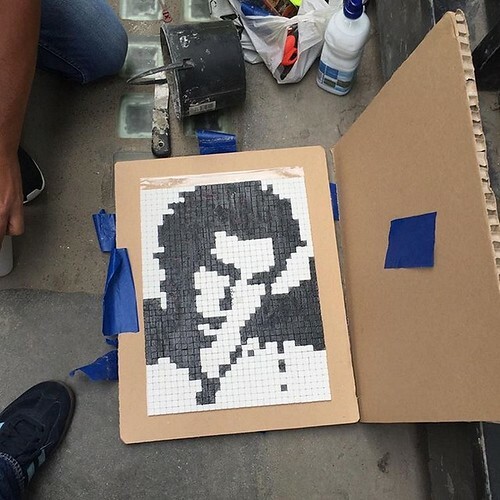 “I thought it was cool when I saw, it looked like a cool bit of tiling, it was like some kind of street art or something” said Sophie. 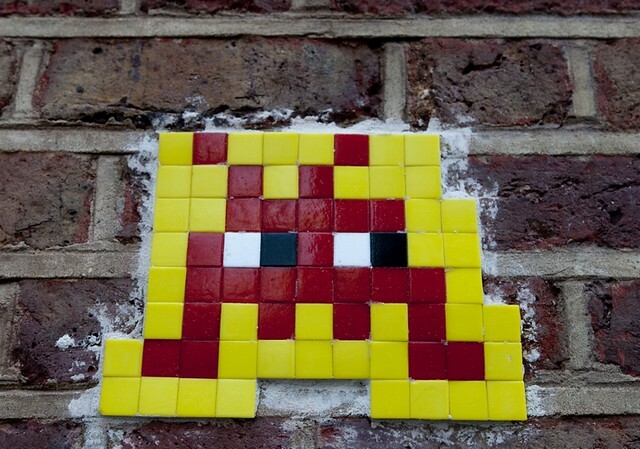 Space Invader created a smartphone App for tracking scouts to seek out and “flash” the invaders, coordination with Space Invader HQ means the reactivated invaders work on the app so these are no mere facsimiles of invaders, they are officially recognised as fully functioning invaders. 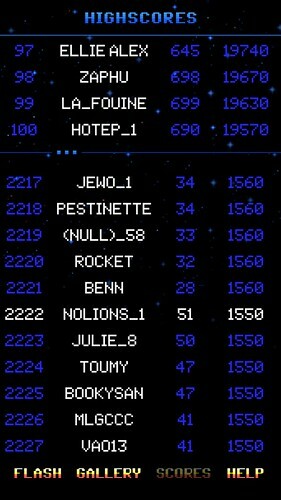 In researching preparing this star (b)log my Invader app score went from 1200 to 1550 driving me up to the giddy heights of the top 2300s on the scores list! On the very cusp of the top 2221! Speaking of craftsmanship and creation/recreation, just what are the invaders reactivated from? 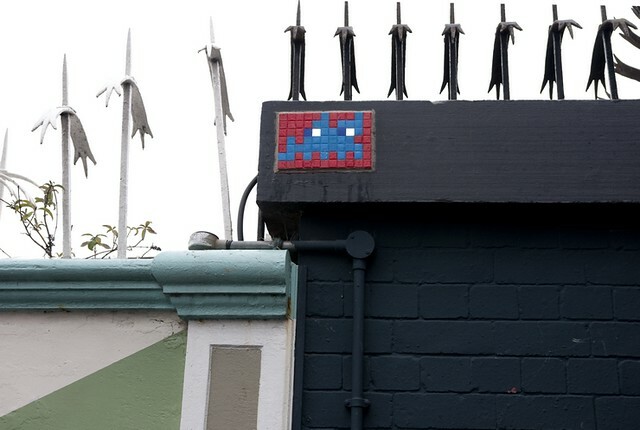 At the time of writing, a grand total of 21 London space invaders have now been reactivated, one or two have had a deep clean pampering session and there are also a total of six reactivated invaders in Manchester and Newcastle. 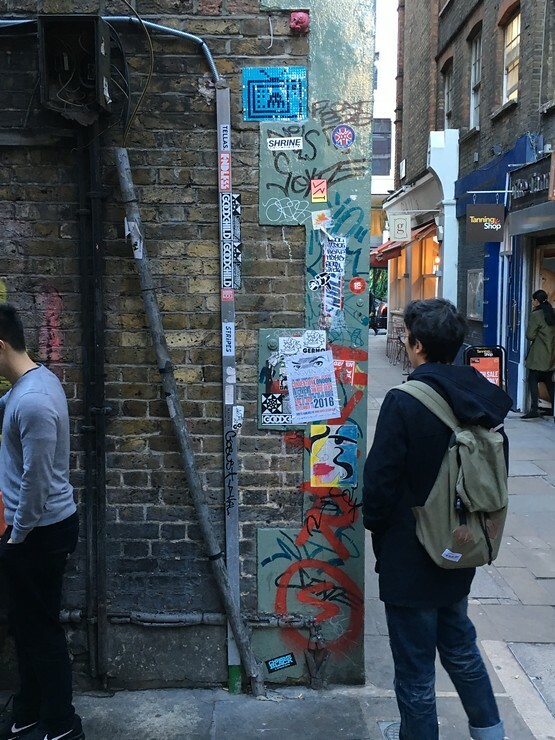 In addition to the photos above of reactivated London invaders, a photo collection of completed London reactivation missions to date follows below. 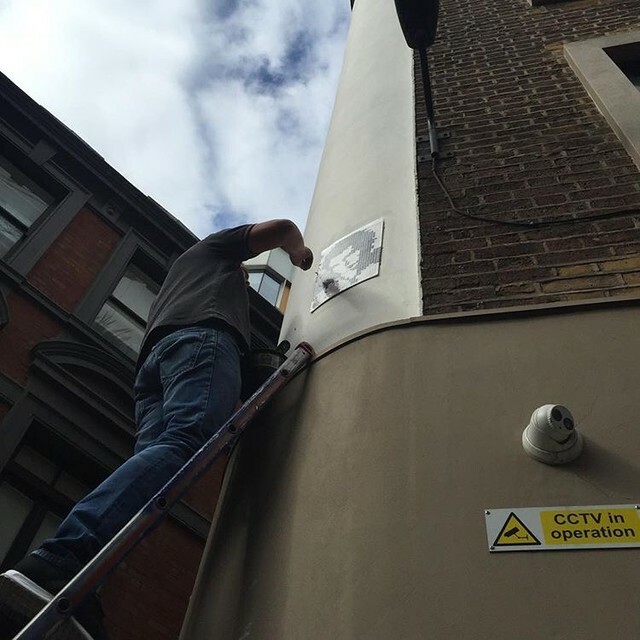 Can Al get 10 points for flashing LDN_045? 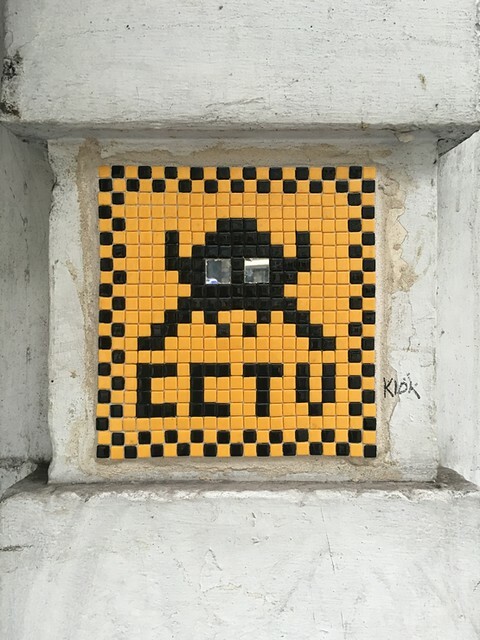 Go scan the skies, monitor the Reactivation Team's instagram account and scour the streets, those invaders are watching you from the walls, waiting for you to go and flash them. 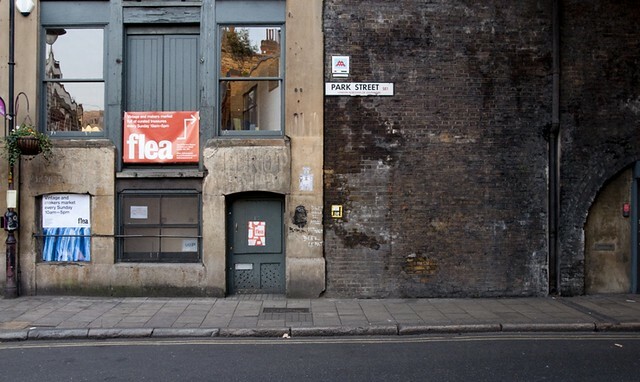 Loathe though we are to see street art pieces being removed from the streets and entering in the commercial market on this occasion, a piece of Stik street art to be auctioned has Stik’s blessing so I guess we can be ok with it. 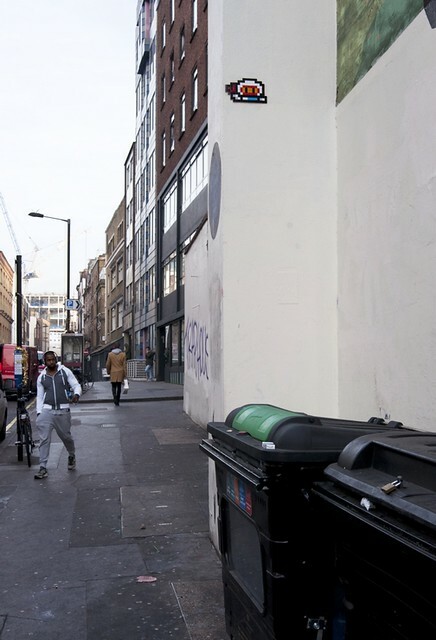 Interestingly there is no real disclosure regarding the ownership of the actual property that the Stik piece was painted on though the catalogue confirms, as indeed Stik also does, that it is a genuine Stik authenticated by the artist and the catalogue baldly states “Provenance: Magpie Social Centre”. 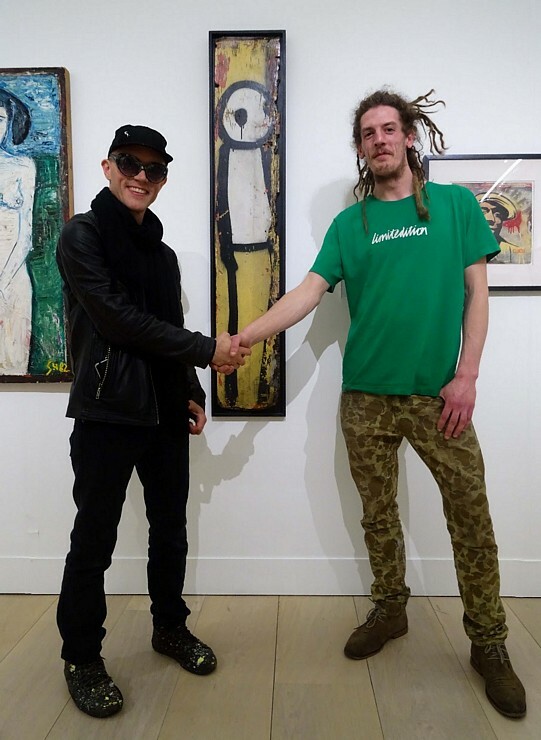 Doubtless Phillips will have done their homework to establish who owned the piece of property that the Stik is painted on and the proof is likely to be buried in legal property or lease agreements. They will have done that won’t they? 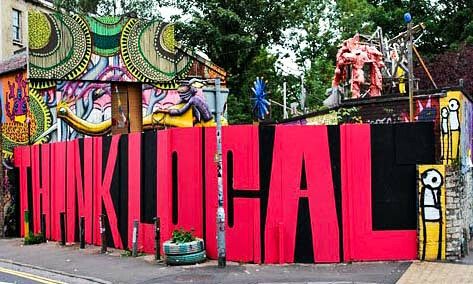 At least the photo I took is pretty conclusive that the Stik piece was indeed a fixture within the property occupied by the Magpie Social Centre. 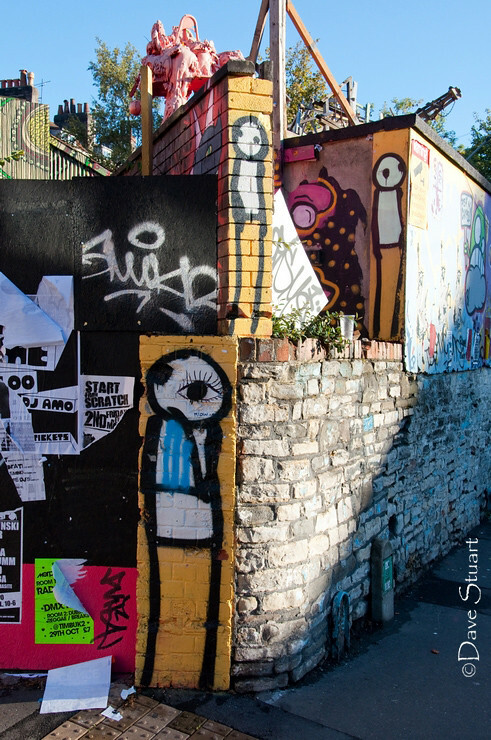 All photos via Stik except Dave Stuart where stated.